Scotty’s Little Soldiers, a children’s military charity founded by army widow Nikki Scott, has more than doubled its members over the last 12 months and now supports, an ever increasing, 268 children of the fallen, across the UK. The charity, initially set up following the personal experience of Nikki who lost her own husband Corporal Lee Scott, when his vehicle hit an IED in Afghanistan, leaving their 2 children, Kai and Brooke, devastated, aims to help children smile again following the loss of a loved one. It benefits the bereaved children of any serviceman or servicewoman, whether they have suffered an illness, been in an accident or died in combat. I’m blown away by the support the charity has received since we started and that we’ve been able to help so many of our bereaved Forces’ children. My mission now is to provide this support to all children who have lost a serving parent and we know there are many more out there who are yet to hear about the charity. We focus on supporting the children, so the marital status of the parents or their wealth or the reasons behind their death is not important - what’s important to us is that these brave young people have lost a parent whilst they were serving their country and we owe it to them to provide this support. Working with her brother, Stuart Robinson, now CEO of Scotty’s Little Soldiers, 3 programmes have been set in place to ensure that children would be able to smile again and look to a brighter future. These are Smiles, Support and Strides. The Smiles programme offers fun activities including the annual Christmas party, whilst Support focusses on offering Scotty members bereavement counselling and Strides assists with personal development, for example providing further education grants. 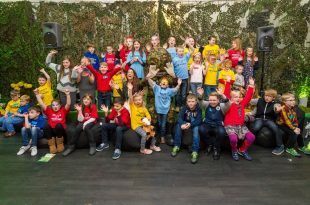 From holidays at the Scotty lodges, trips to Alton Towers and Legoland, to parties, meeting celebrities and professional bereavement counselling provided by partners Winston’s Wish and funded by Help for Heroes, the charity provides an array of support for children up until their 18th birthday. Scotty’s also offers a range of grants for driving lessons, higher educations and for sports clubs, school trips, and music lessons, ensuring no child ever misses out. Mother of two, Laura Lockwood, is just one of the widows who receives support from the charity. Her husband Michael lost his life in 2014, leaving behind children Bella and Evie, after serving more than 16 years in the Forces. 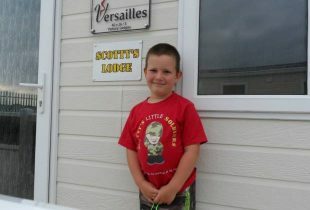 Scotty’s Little Soldiers has shown us love, provided support and most importantly ensured that we’re not on our own. The charity has made myself and the girls happy on days that are sad. We went to Alton Towers with Scotty’s and the kids loved it. It’s wonderful to see them smile and be happy, especially Bella as she thinks about her dad a lot. Trips out like that show you that you can have fun and even though you feel sad inside, you’re always holding that someone special close in your heart, whilst making new, happy memories. 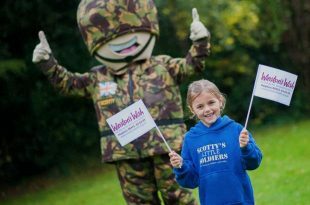 Scotty’s Little Soldiers invite all those passionate about its cause to spread the word of the charity, so it can reach out to those vulnerable children who are in need of its support. The charity is also looking for new fundraisers, and advises anyone who is interested to get in touch or visit the website. If you are the parent of a child bereaved by service, there is a range of support Veterans UK can help you with. From administering the Armed Forces Bereaved Service Children’s Scholarship fund to pensions for spouses and partners of those bereaved by Service and their children. More information can be found on GOV.UK or call the Veterans UK helpline on 0808 1914 2 18.